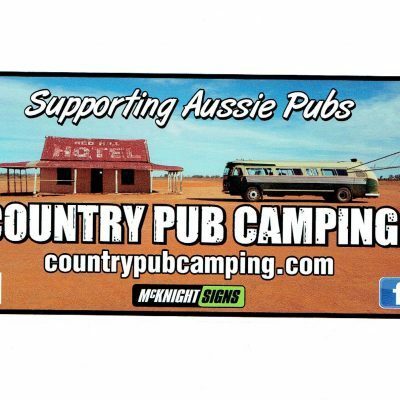 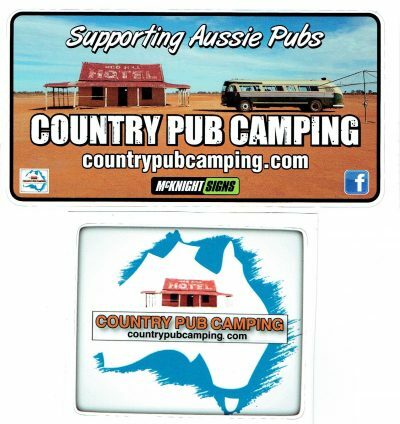 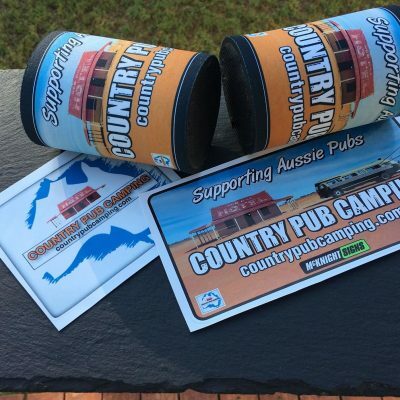 Decal set featuring the Country Pub Camping bumper sticker (18 cm X 9) and the logo sticker (11 cm X 9 cm). Full colour and UV resistant. 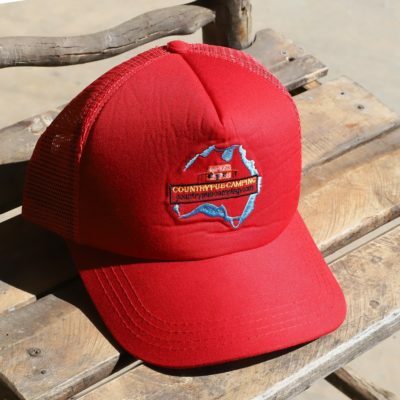 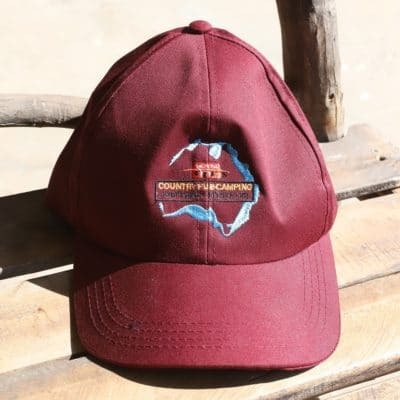 Trucker Cap with embroidered logo – Red – 2 for $36- Free shipping.